There are plenty of crafts to make to display indoors but what about outside? 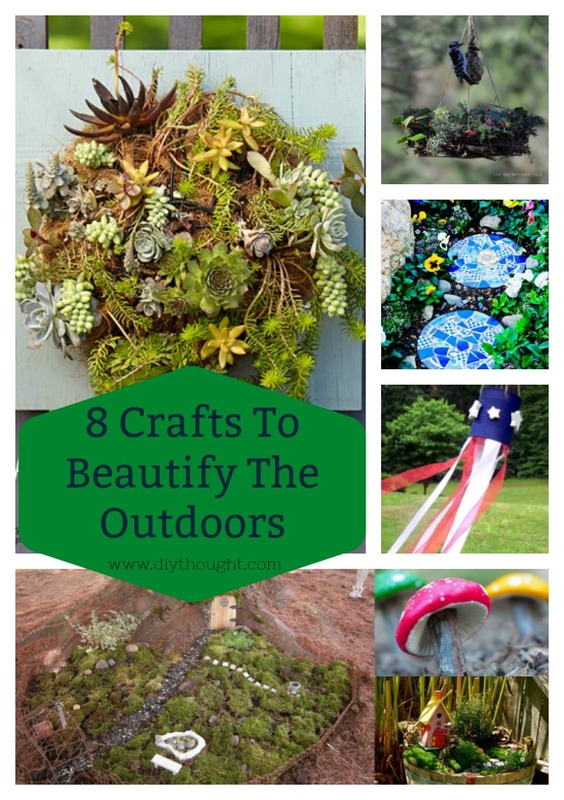 Today we have found 8 crafts to beautify the outdoors. It really is amazing what a pop of color or hanging some cool plant art can do to improve an outside space. 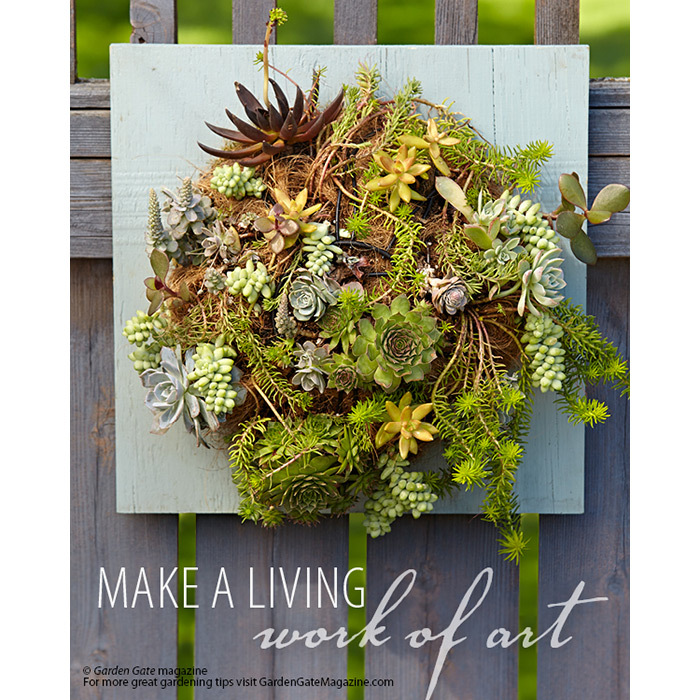 These 8 crafts to beautify the outdoors will have you wanting to spend more time outside! 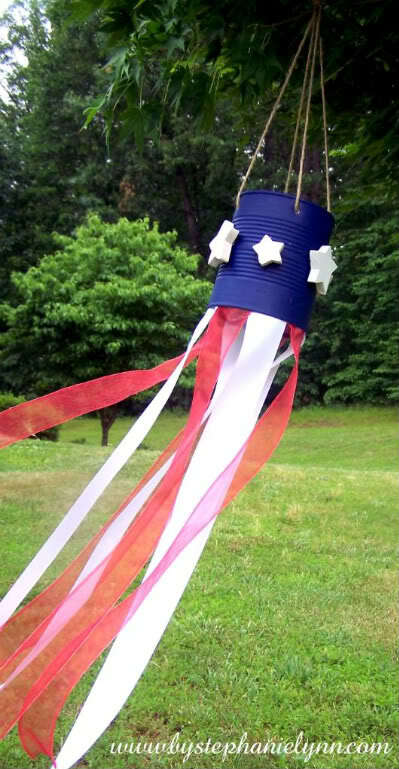 TIn can windsocks are fun for all ages to make and are certain to brighten any outdoor space. Click here to view the full tutorial. So beautiful and so rewarding to make! This living work of art will make all fences and outdoor walls beautiful. Click here to find out more. 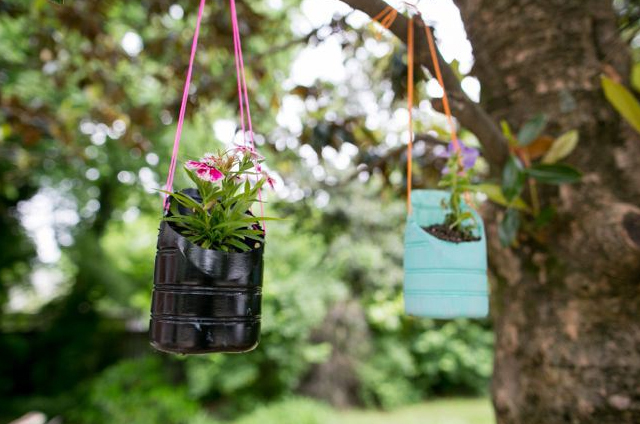 Make your own hanging planters from a plastic bottle. Get the kids involved in the painting for some fun family crafting. Follow this link to find out more. Don’t forget the ground when you are beautifying the outdoors! 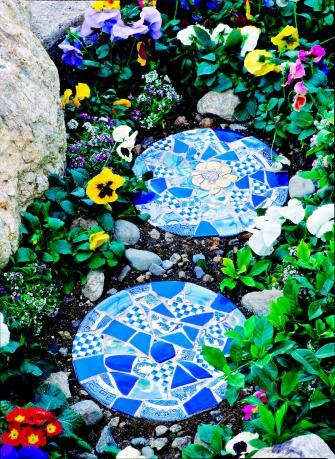 These mosaic stepping stones are enjoyable to make and beyond beautiful. Follow this link to find out more. Ever wondered how to make a fairy garden? We have all of the resources you need right here. From fairy doors to barrel fairy gardens there is plenty to choose from here. 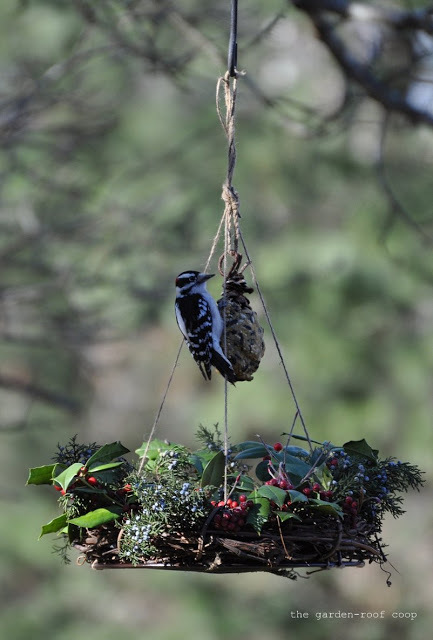 Bird feeders are an easy way to beautify the outdoors twofold; the feeder itself and the beautiful birds it brings. This is one of the most stunning bird feeders around. Wow, how incredible is this bottle cap mural! 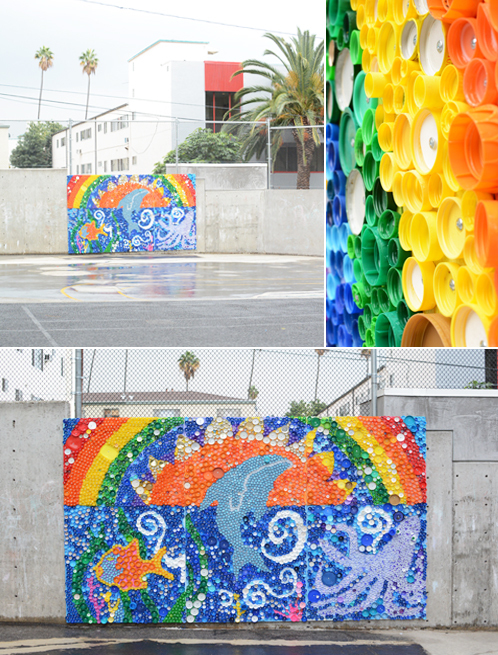 This mural was a whole school project using thousands of bottle caps. For your personal outdoor bottle cap mural, downsizing is a good option in order to complete it in a timely manner but the principles of creating a mural remain the same. Read more about this amazing project by clicking here. 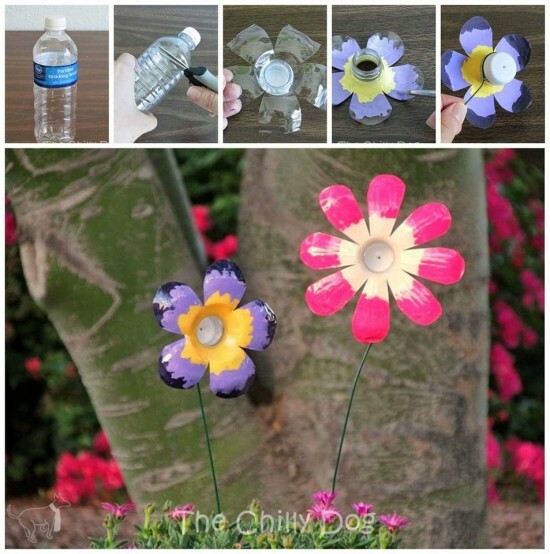 There is no need to recycle plastic bottles when they can be repurposed into these bright and cheerful flowers. Click here to view the full tutorial.